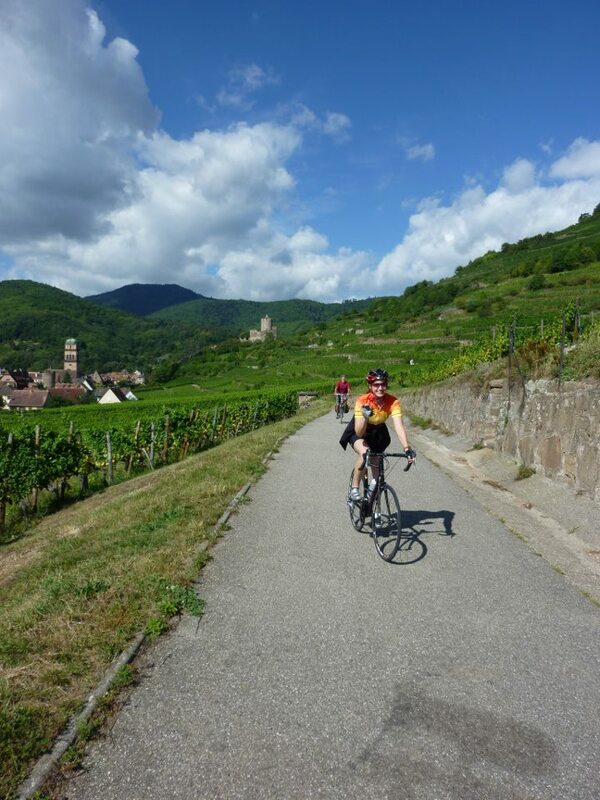 Cobbles and Corks Cycling offers multi-day bicycle trips specializing in the Alsace region of France. Choose from our well-established itinerary or let us put together a custom trip for you and your group. We'll tailor the perfect trip for your riding level and interests. And we'll make all of the necessary arrangements including hotels, meals and local transportation. We'll be there to guide you and to offer technical assistance if needed. Join us for an unforgettable cycling and culinary experience in France! In August 2011, my wife Laura, my son Alex and I moved back to my home town of Trois Epis in the Alsace region of France to establish our bike touring company called Cobbles and Corks Cycling. 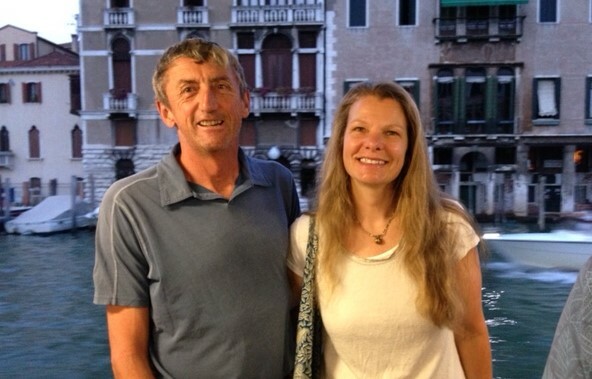 We had been living in Telluride, Colorado for the past 25 years, where I own a small catering and private chef business,Bertrand's Catering, and my wife has been in the hotel and hospitality business. My family still lives in Trois Epis, France, so it was a natural choice for us to choose this gorgeous region of France for our bicycle trips and tours. 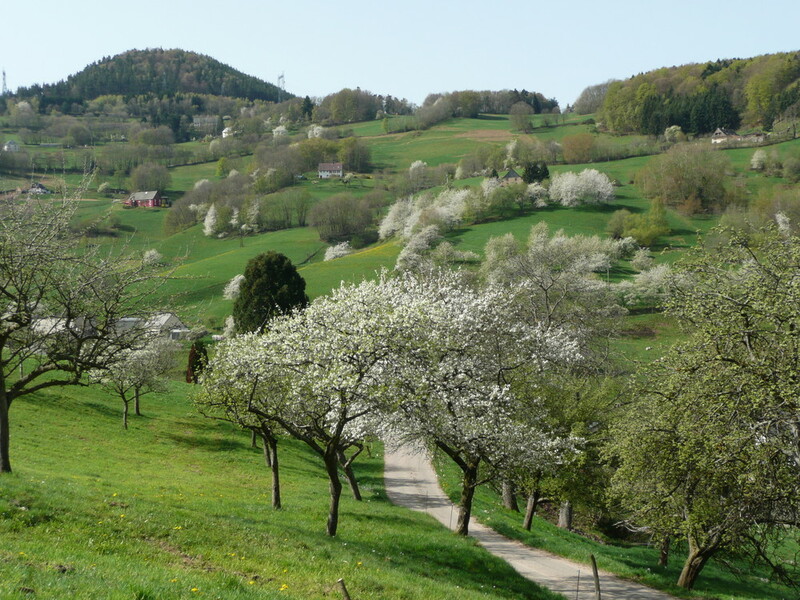 As well, I was born and raised in Alsace so, I have a lifetime of knowledge of this area and it is the one of best regions of France for cycling. There are unlimited bicycle tours for all levels of cyclists in the Alsace region of France. There is everything from rolling hills to arduous climbs, perfectly flat country roads in the farm lands and bicycle paths through the rolling vineyards. The scenery is beautiful and unique in this part of France. Our guided bicycle tours will take you through lush forests, past World War I battlefields and through the maze like streets of medieval villages in the Alsace region of France. We even have a day on our guided bike tour where we ride from France into Germany for a change of pace. And, it must be noted that the cuisine and wines of Alsace, France are world renowned. Cobbles and Corks cycling is not offering your usual cycling tour. You will enjoy bike touring in small groups with a born and raised Alsacian (and his wife who has been accompanying him on frequent trips to the region for 15+ years) who knows the tricks, the tales and the ins and outs of the region. My family and I are truly passionate about Alsace and look forward to sharing its rich culture and great riding with you!